This weeks winner is Bobbi. Congratulations! You have won some Halloween beads from Jennifer Heynen of Jangles. Send Jennifer an e-mail with your address and she will get it right out to you. 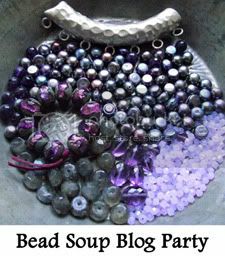 It’s the Bead Soup Blog Party!!! Time to hop to all the participants blogs and see what they created. I wanted to show you what I created. My Bead Soup Partner is Tania Spivey of Moobie Grace Designs. 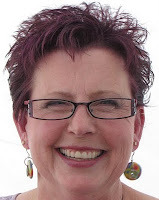 She makes beautiful Polymer Clay beads. I received 2 plus a clasp with another bead and her wonderful wire work. I stressed quite a while over this. Worried if I would make the deadline and not having any ideas that I thought were great. My daughter was in my studio the other day and I started pulling beads and findings out of boxes. Things are sorta still packed up from rearranging my studio. I found these beautiful strands of gemstone beads that I had forgotten about. They were brought from Russia and given to me by my son-in-laws mom. Perfect! The colors were absolutely perfect. Kristen (my daughter) started throwing out ideas. She too knew I was stressed and offered help. I’ve been working on a large wholesale order and started a new job. I have been exhausted. Staying up till 3-4am glazing hasn’t helped. I’m doing a show this entire weekend. My plate is overflowing. Everything fell together after pulling loads of things out and putting them next to each other. Taking away and putting back..you know how the creative process goes. I use bright bold colors and Tania uses, as you can see, colors from nature. The Teal and Coral colors really work nicely. This absolutely pushed me out of my comfort zone. I really don’t design jewelry of this type. I’m not the dainty flower kind of person. This was quite a challenge for me. See the rest of the post post on my blog. 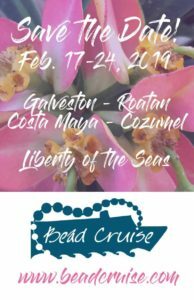 Would you like to participate in Bead Soup Blog Party? 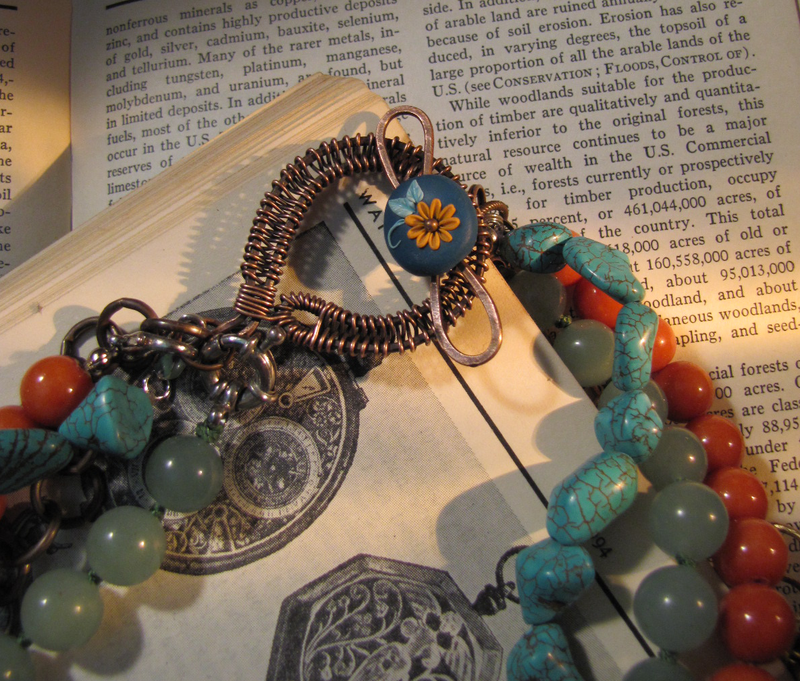 Did you participate in this years Bead Soup Blog Party or in years past? Answer one of the questions and leave your comment, you could win a mystery button. Sorry, I’m in over my head right now but it will be a nice button, I promise. 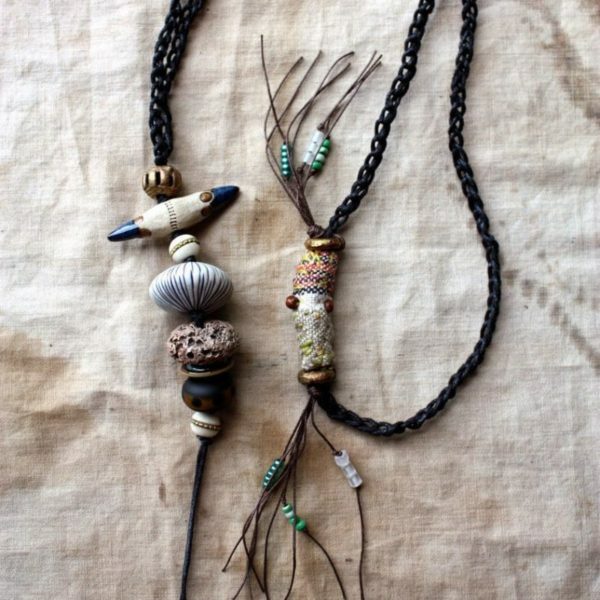 Sundays with Cindy- Bead Soup’s On! wow I love your necklace! and I especially love the vibrant colors! Beautiful work! You managed to find the perfect colours for such an amazing clasp and focal. Very clever way of using the smaller bead matching the focal. This is my second bead soup party !!! The best inspiration ever hopping from blog to blog ! Great color combination! I too was out of my comfort zone when designing for the BSBP, but in a wonderful way that had me trying new techniques and designs! This is my first year attending the party! Beautifull necklace. I love the colors!! Really great pieces. That soup was delicious. And the beads you sent were amazing as wht your partner did with them. Hi Tari, Seems a lot of us Bead Soupers (Yes, I participate whenever I can) have been pulled way out of our usual comfort zones. Your piece is stunning and I love the focal beads by Tania. I don't have a blog, so I don't participate in bead soup. (plus one more deadline–yeah, that's what I need.) But its fun to see what everyone else did! 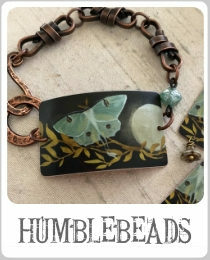 I would definitly join the Bead Soup Blog Party, I started a blog in une this year and I discovered theBead Soup Blog Party just a few days to late.. I hope there's soon a new party! I am proud to say I have strung along w/ all of the Soups! I love your piece, now I'm off to your blog to comment! I have not participated but I certainly plan to next year. Tari, Your necklace is beautiful. You did a good job making the beads that Tania sent to you stand out. 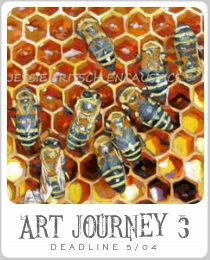 This is my first Bead Soup Blog Party and I hope to be able to participate in the ones in the future. I love this necklace, Tari. And yes, I participated in the Bead Soup. This was my first time, and it was really fun! This is my first Bead Soup. I have had such a fun time with it and love the connection with other designers. And I too was stretched out of my comfort zone, though with good results, I believe. Your necklace is awesome. 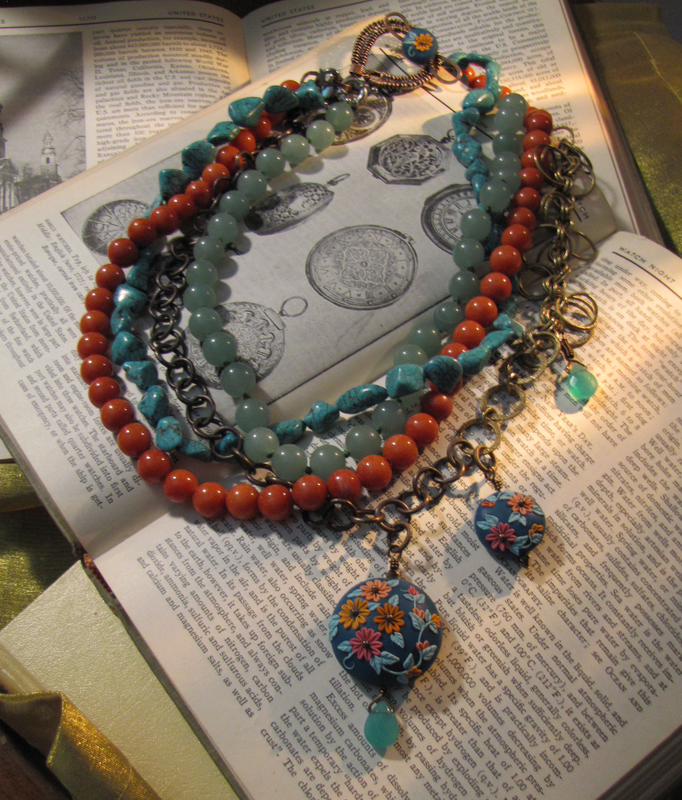 Lovely necklace, great combo of colours! I'd love to participate in the BSBP — oh wait, I don't have a blog! But maybe by next year I will have gotten up the courage for both! Yes, just finished my third BSP. I usually work with seed beads so this exchange is great fun because I get to play with the big beads. I keep coming back because of the fun I have picking out a soup for my partner and seeing what she makes with it. I am always amazed! this was my first time with the bead soup and I really enjoyed the process. I would definitely participate again. Lovely necklace! You're really rocking the color! Your necklace is just perfect. I haven't joined in the Bead Soup Party…I've been dragging my feet…but I would like to participate in the next one. I really enjoy following the BSBP and seeing all the talented designs!!! Great color combination and design and what a fabulous clasp to work with.